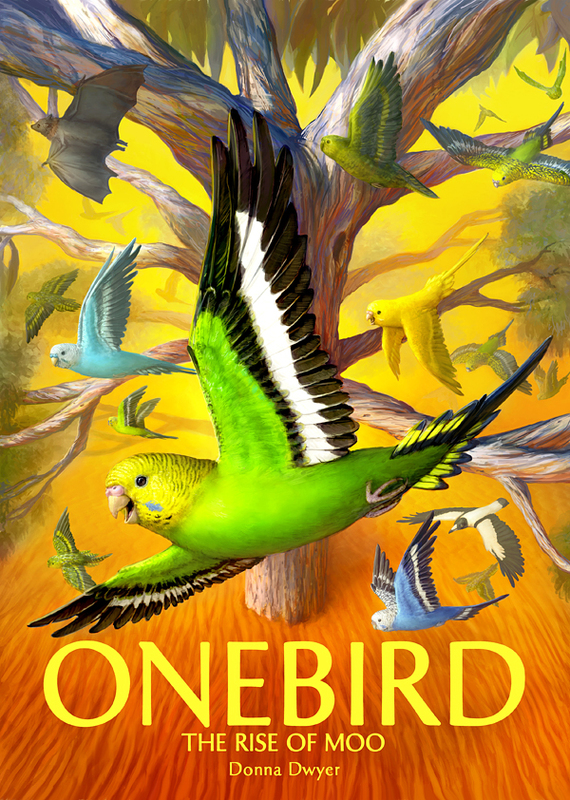 An illustration for the cover of Onebird: The Rise of Moo by Donna Dwyer. I was stoked to work on an illustration about budgies and various animals! The cover features Moo (the central character) alongside Barney, Fudge and Yukey with Plum the magpie and Horace the bat in tow. The night parrots (a species of extremely rare and elusive Australian parrot) can also be seen flying with the unlikely heroes through the branches of Magic, the tree. The ebook is now available online from various stores including Amazon.com. More information on the process can be seen at my blog (please follow the news link).